We want to share our wedding videographer tips for brilliant and natural wedding videography and photography. Very few couples are professional models – which means posing can mean feeling both uncomfortable and a little ridiculous. There’s no need to fear however – finding a photographer and wedding videographer who allow you to feel comfortable, be yourselves and have a good time is the simplest way to overcome nerves and be yourselves on the wedding day. Knowledgeable wedding videographers and photographers know how to pose you to perfection – while still keeping it natural and capturing that spontaneous emotion. We’ve put together a few key tips for the different parts of the day. A wedding PEP talk: Position, Expression & Posing. Following these tips and tricks can be a huge help in crafting a gorgeous wedding video. During formal pictures, stand at a slight angle, not straight on. Remember the basics: Take a deep breath, exhale, then tilt your chin down and look up. The light plays a huge role in defining your face and giving it shape – a great photographer and wedding videographer knows how to seek out light that will flatter your body type and make it look its absolute best. There is no substitute for being comfortable and acting natural. Having a relationship with your photographer and videographer can go a long way in allowing you to relax and just be yourself. The best photos and films are always the sincere ones – so don’t be afraid to be real! Laugh, cry, and trust your videographer and photographer to capture those moments. You’ve planned for months and dreamt of this day your entire life – its OKAY to be nervous, and its okay to show it! In fact, the best wedding films are the ones that capture these real moments. Raw emotions make for fantastic stories. Take a couple minute alone to savour the moment – you’re now officially married! Your wedding videographer and photographer can use longer lenses to allow you two a private moment, while still capturing it discretely from a distance. Hold hands and take a walk – the wind blowing the dress and adding energy to your hair makes for great shots. Its your wedding – people won’t mind! Have a good time and don’t be afraid to let your affection show. When you let your guard down, thats where the real magic is for wedding films. It can be cool to incorporate parts of the scenery into your wedding film. If there is a field of long golden grass, take a stroll through it. If you’re near to the lake, why don’t you paddle out in a rowboat? No matter where you are in the Okanagan, you’re guaranteed to have something unique at your location to incorporate. If you’re still deciding, check out our Okanagan wedding venues and locations. A great backdrop with good light practically guarantees a winning photo! In the Okanagan we’re so blessed to have stunning landscapes and views practically everywhere we go – so take advantage of that for your wedding film! Generally your wedding videographer isn’t after shots of you guys lined up and posing, so take some time to just hang out and act natural between each shot. Enjoy the moment! Just like with the bride and groom, a stroll with the wedding party is great. We can even grab shots of you walking from location to location – so have a good time and do your best to forget about the wedding videographer or wedding photographer, so we can catch those in between moments. Terracing the height of your bridal party adds dimension and interest to your photographs and wedding video. Look for somewhere a portion of the bridal party can sit, while a second row behind can stand. Be creative and mix it up. Staggering the people in your wedding videography and photography can be really effective, and get away from the posed look. Most men aren’t runway models – so posing is going to feel unnatural and awkward to them. We love to capture the guys doing something – clinking Scotch glasses, playing some football or doing what guys do. Let them have a good time! FORGET THE CAMERAS, BE YOURSELVES, AND SAVOUR THE MOMENTS! At the end of the day, its usually not the posed shots that people rave about – its those candid moments when magic is in the air, and for a few split seconds everyone forgets about the cameras and just enjoys the moment. That is our number one tip and also our number one goal as your Okanagan Wedding Videographers – to not have you see us as the cameramen, but as friends who are there to have a good time and catch it on film while it happens. Hope these tips are a help to you! Check back for more tips, and be sure to get in touch with any wedding video questions, or for Okanagan wedding videography bookings. Of course, we’re available for destinations worldwide – but some of our most cherished wedding films are wedding videos from home here in the Okanagan. Get in touch! 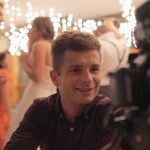 Tailored Fit Films is an Okanagan Wedding Videographer Studio. Looking for a Kelowna Wedding Videographer and wedding videographer in Penticton & Summerland? We make wedding films from Vernon B.C. because we’re Vernon BC wedding videographers. We’re also videographers throughout the Okanagan. We’re wedding videographers in Sicamous & Revelstoke. We hope you enjoyed our wedding videographer special tips. Make sure to get back to us with any wedding videography questions! We want to help you book the best wedding videographer, and know the best tips and tricks to make a great wedding video. But to tell you the truth, we don’t even call them wedding videos before. We don’t even like calling ourselves Okanagan Wedding Videographers. We want our creative and artistic approach to create a new category of wedding video – wedding films. We’re wedding cinematographers. International wedding cinematographers. We love destination wedding films. We also want them to be more than just destination wedding videography. Tell us what you need. We’re happy to help. At the end of the day, its all about telling each couples unique story. Your wedding day only comes once – so savour every moment, and capture every minute!